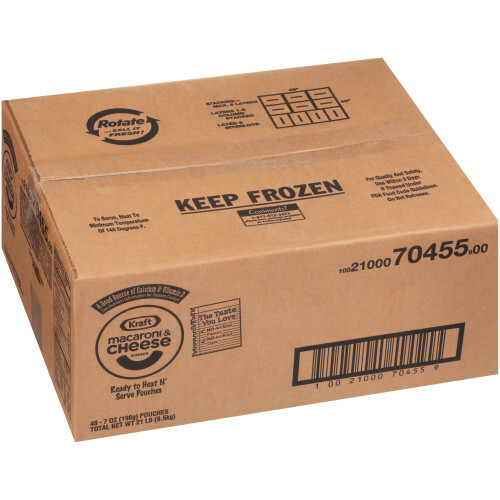 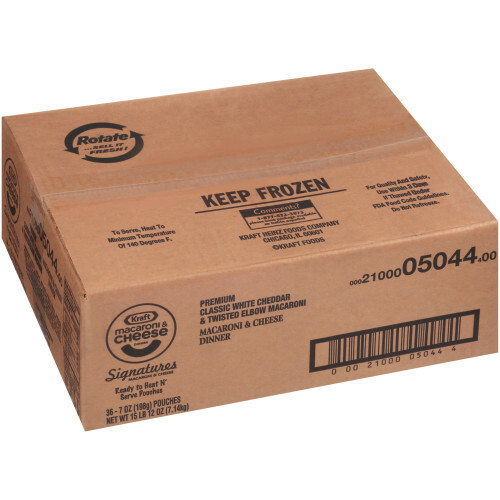 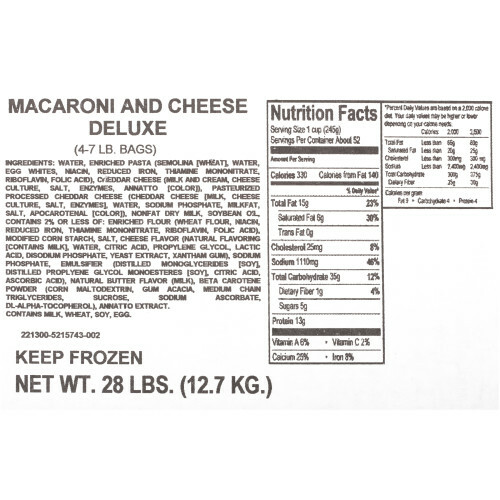 Kraft Macaroni & Cheese, Frozen, 7 oz. 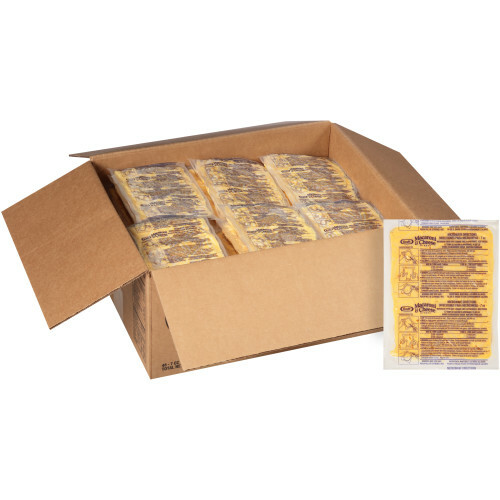 pouch (Pack of 48). 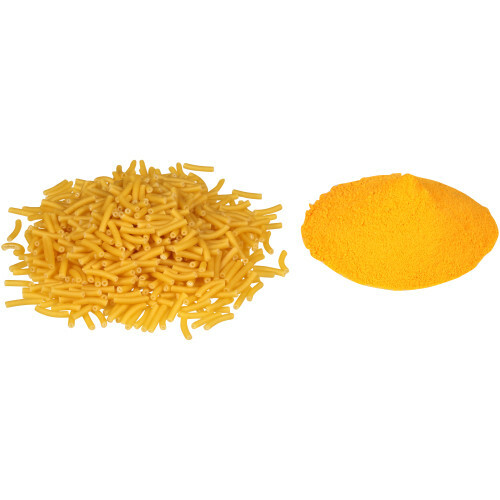 With our iconic cheesy flavor and classic macaroni shape, the Original Kraft Macaroni and Cheese Dinner is full of the taste you love. 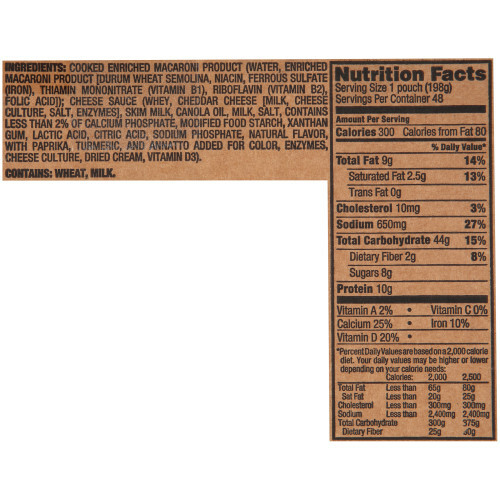 And now it has no artificial flavors, preservatives or dyes. 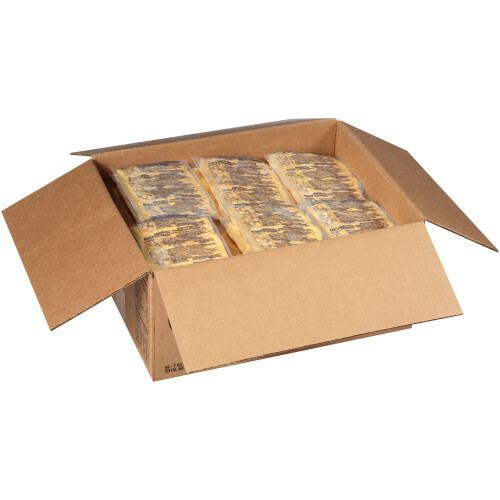 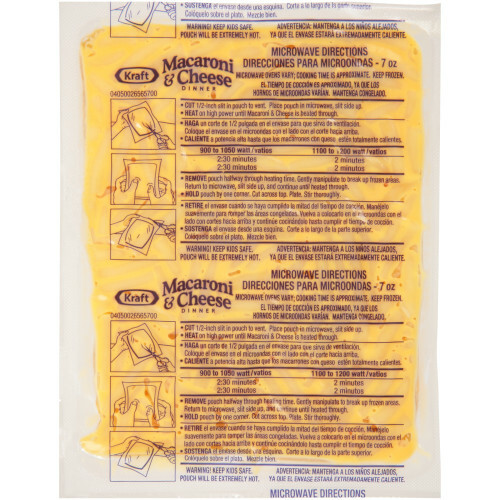 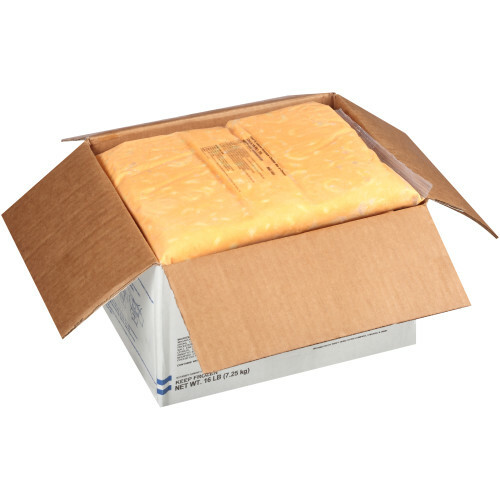 Kraft Mac & Cheese frozen come in heat-and-serve pouches that eliminates time and labor of prep and cleanup.